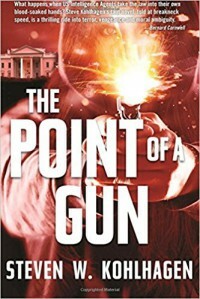 The Point of a Gun is one of those thrillers that is so fast-paced, all the moving parts come and go so quickly that readers will learn very little about any of the individual characters. The setting is an America in the near future where terrorist attacks seem to happen nearly every day. Jihadists, white supremacists, and Mexican cartels all have different agendas but have very similar modus operandi—using guns or bombs to kill and terrorize Americans. To counter this endless array of deadly cells and lone wolves, a group of self-appointed vigilantes has gathered to strike at terrorists with equally deadly force before they can act. That’s because the U.S. Government’s intelligence and law enforcement bureaucracies fail to deal with the threats, saying they can do nothing until something actionable takes place. The shadowy vigilantes are not so restrained, even if seemingly led by at least one senior and trusted Counterterrorism insider. How else could the teams of “Paladins” get such detailed intel on what the terrorists intend, how they intend to do it, and when? So, on one level, we see a stream of Paladin operations as the anti-terrorists make their plans, execute them, and then escape. Many times, they kill terrorists in one state on one day, and then take out a different group across the country the next. The President and his investigators don’t know the real identities of the vigilantes and aren’t all that certain the Paladins are all that wrong. Still, the government of the U.S. can’t officially condone deadly extra-legal justice. So we see a secondary storyline of the investigators trying to bring in the vigilantes with offers of immunity from prosecution. 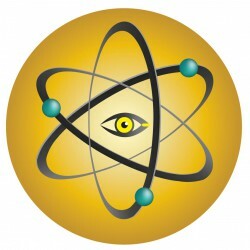 At the same time, the government works very hard to keep the existence of the Paladins secret, not wanting the public to lionize them or copycat their methods. The Point of a Gun isn’t a book for readers who like to get to know a novel’s characters. We meet a batch of professional chess pieces whose motivations and backstories aren’t fleshed out. The Paladins mostly know each other using code names. They’re always on the move. It’s also not a book for those who like to see detailed battles fought between the good guys and bad guys as, most of the time, the terrorists don’t see the Paladins coming and are killed before they have a chance to light a fuse or fire a gun. We know next to nothing about these terrorists who are essentially interchangeable criminals. I’d say this is a book that might fulfill many reader’s wishes that someone out there would do what the government and law enforcement won’t, that is prevent terrorism before it happens by killing off those who would do us harm. If that’s your wish, perhaps the names and back-stories of Paladins aren’t all that necessary. Only what they can do. In the end, I set this book down without thinking about any of the players or any particularly memorable scenes other than the very satisfying conclusion. Instead, I thought about the grim and brutal future Steven W. Kohlhagen imagines. It’s frighteningly plausible that the number and frequency of terrorist attacks could reach such horrific levels in a comparatively short time. I suspect well-coordinated and quickly implemented responses from more than qualified vigilantes is the stuff of fiction and not something Kohlhagen is prophesizing or necessarily hoping will happen. But a need for such units is well worth thinking about.